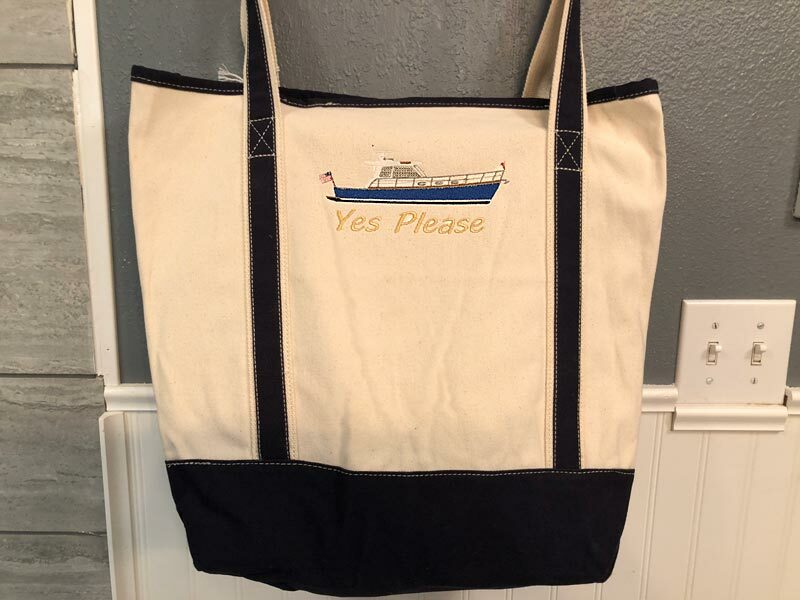 Custom Embroidered Extra-Large Boat Tote. 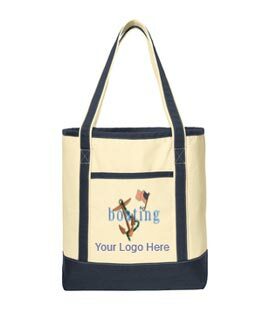 Perfect for the boat, beach, shopping and events, these durable canvas totes have open tops, contrast handles and contrast bottoms for classic good looks. 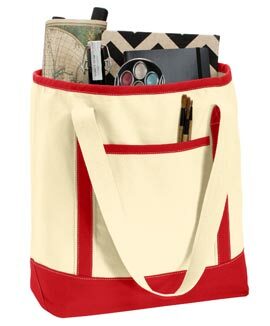 Made from 15.5-ounce, 100% cotton canvas body; 11-ounce, 100% cotton canvas handle trim and bottom. Our new 10 needle embroidery machine has arrived, allowing us to embroider designs as large as 14" by 14" that can include up to ten colors!